Free and Fast Shipping! Need a shuffleboard. Check out our 9′ and 12′ Shuffleboards. 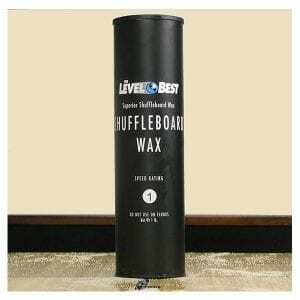 This bowling kit provides everything you need to bowl on your home shuffleboard. 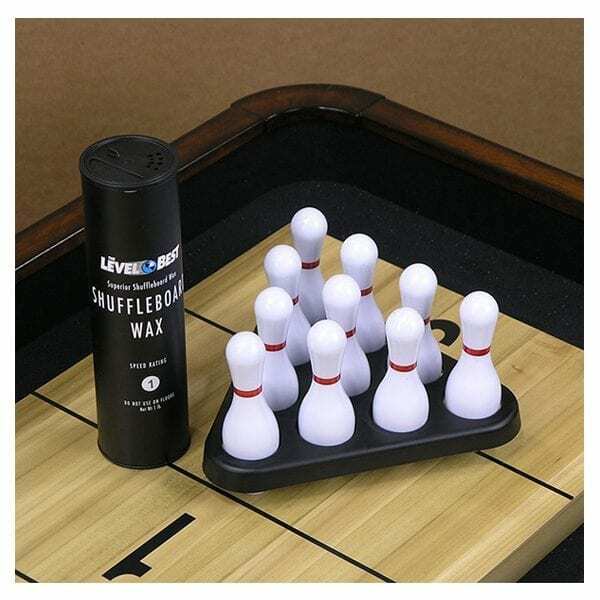 10 Pin Set with Pin Setter and a can of Shuffleboard wax with a number 1 out of 5 Speed rating. 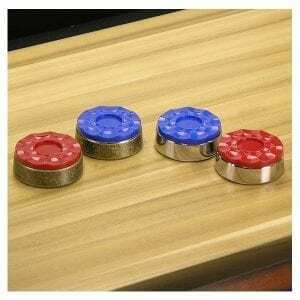 The game is played using your existing shuffleboard pucks. 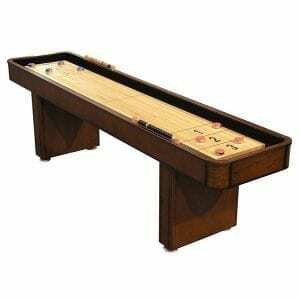 It’s a great way to add more entertainment to your game room at minimal expense.